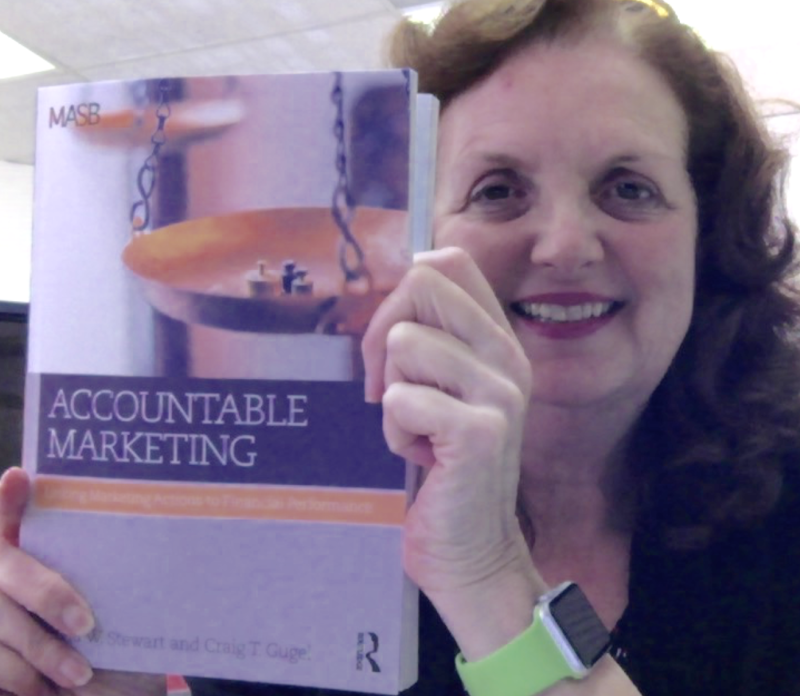 Blue Marble is proud to announce the publication of the Marketing Accountability Standards Board’s book, Accountable Marketing: Linking Marketing Actions to Financial Performance (Routledge 2016), including the chapter our CEO, Debra Parcheta, co-authored: Chapter 7, Customer Lifetime Value in the Packaged Goods Industry. This book sets the stage for new working relations between Finance and Marketing and relates how fundamental change was initiated in the business community through collaboration across industry lines. Chapter 7 shows how it is possible to use sound mathematics to predict the future equity of a brand and to understand how marketing tactics are actually helping or hurting a brand’s future expected NPV. Marketers have long been looking for predictive analytics to help guide marketing investments that cause brand growth. The time has come to start using forward-looking analytics in addition to backward-looking mix models. MASB is the independent, cross-industry forum that sets the measurement and accountability standards that visionary leaders in Finance and Marketing rely on to guide investment decisions for enterprise value.